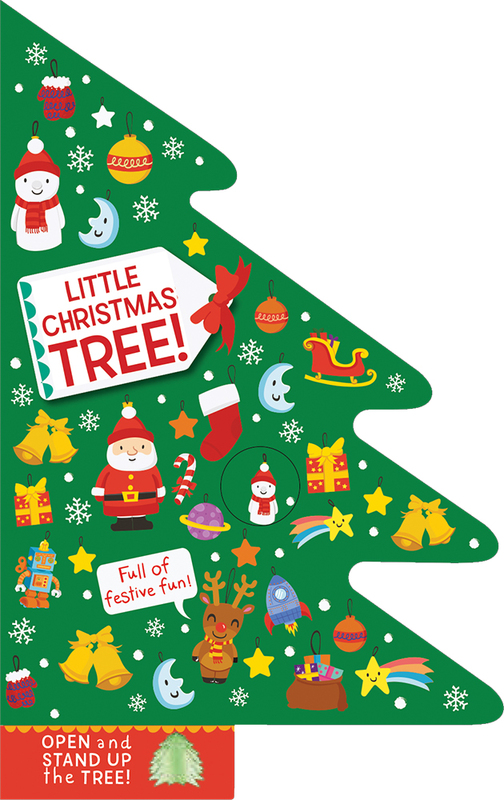 Little Christmas Tree: Open and Stand Up the Tree! 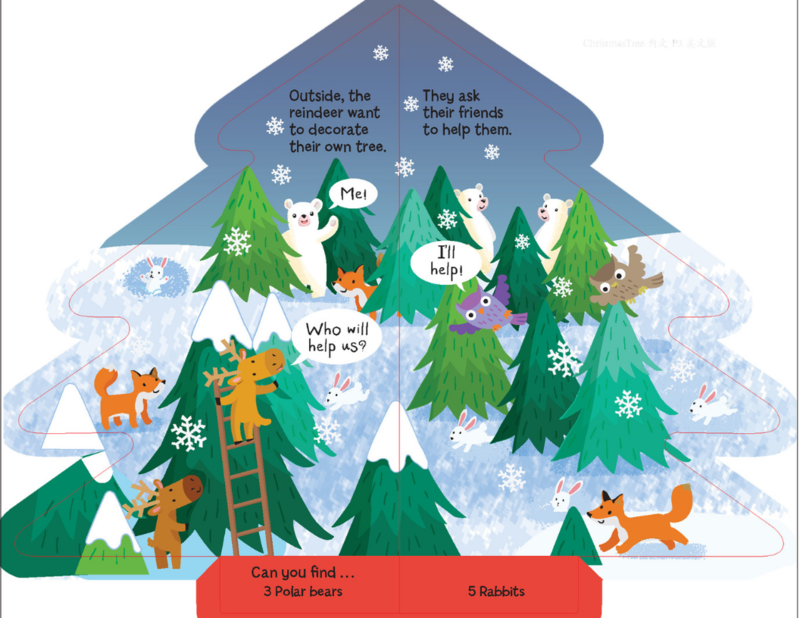 The story takes place at Santa’s house in the North Pole, where children will search to find lots of different things in each festive spread. Look for decorations on the tree, different types of cookies baking in Mrs. Claus’s kitchen, robots and dolls in the workshop, and more. When you’re done reading, use the Velcro tabs to join the covers together and make the tree stand upright. Makes a charming mini Christmas tree decoration.